Breathable Recyclable Fabric Selection: 185gsm waterproof, UV resistance HDPE offers added breath-ability to help keep your pet cool, providing welcome relief during the especially hot summer months. 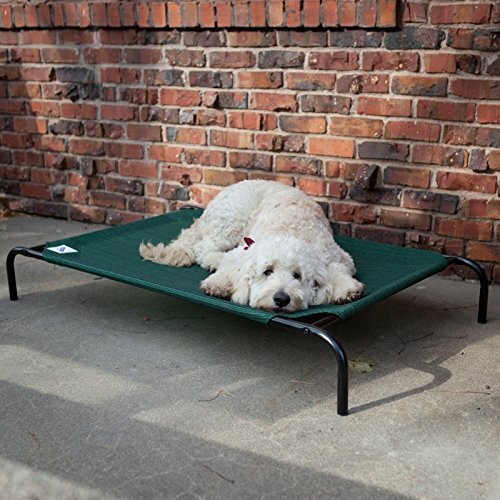 Elevates Design: Upgraded Frame design elevates pets more than 8 in. 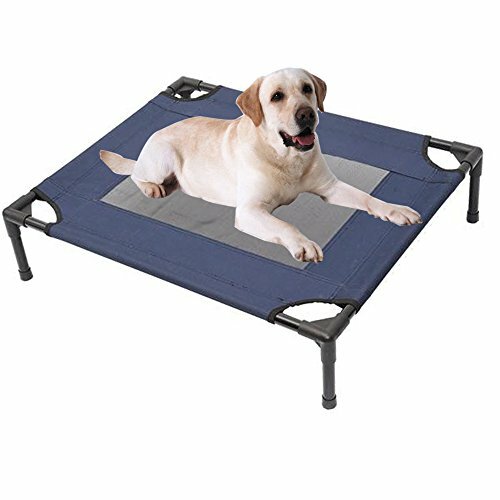 off the ground, increases air flow on all sides of the bed, while ensure your cool, also keep dogs away from the dirty and pests on the ground. Durable&Long-lasting Frame: Black powder coating iron pipe provide a 88lbs load bearing support. 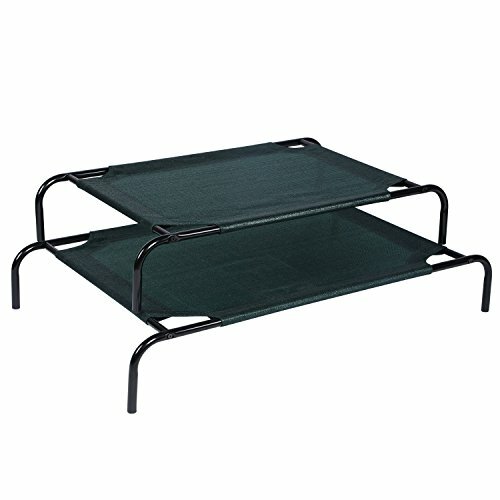 Rust resistance also ensure years use.The frame’s gently curving corners and four stable feet help ensure safety and non-tipping placement. 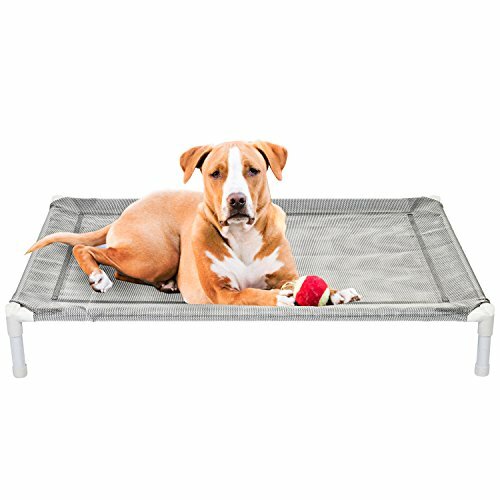 Give your best fur friend the comfy and stylish pet bed he deserves. 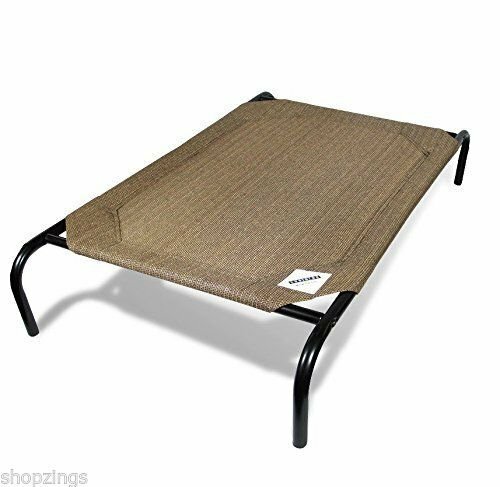 2017 new style Derstadt pet bed provides your pet with a comfy place to lie down whenever they want to relax or sit. 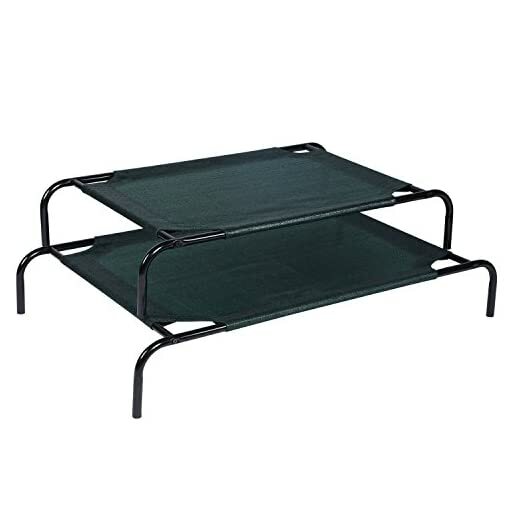 Perfect for the patio, but suitable for indoor use as well, this pet bed is made of 185gsm HDPE that is easy to keep clean. 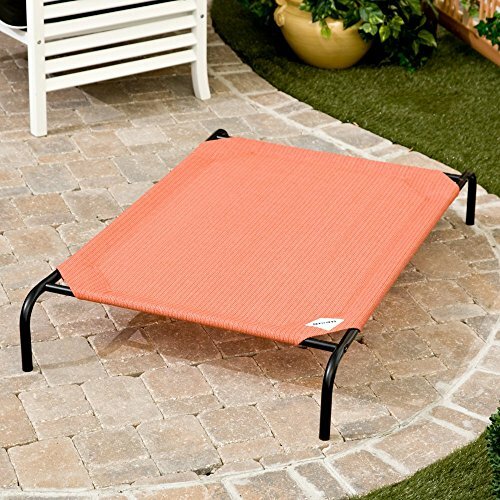 Flea, mite, mold and mildew resistant,comfortably elevates your pet off the hard ground. 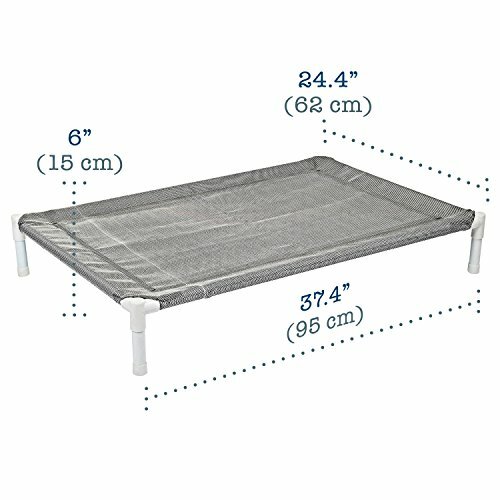 The cot is supported by four sturdy legs, easy to put it together in minutes.Color/Size options available. (L) 51.6L x 31.5W x 8.7H in. (M) 44L x 26W x 8.7H in. (L) 33.1L x 9.1W x 3.1H in. (M) 27.6L x 9.1W x 3.1H in. Derstadt is a top designer and manufacturer of high quality outdoor patio shade sails. Each piece is carefully designed and rigorously tested for optimum performance. Instructions have been simplified for ease of use and assembly. The classic style and reliable craftsmanship of our products will weather ever changing trends and regular usage for years to come. 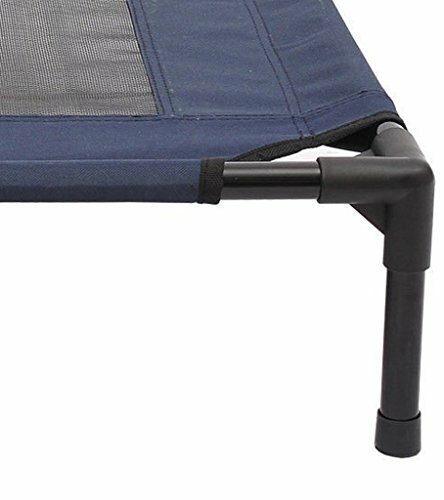 Indoor and Outdoor Use/Easy to Clean: Portable yet light weight Frame makes a handy take-along option when traveling, hiking, camping, or boating with your little buddy. After use a easy spray down or machine wash will make it clean again.